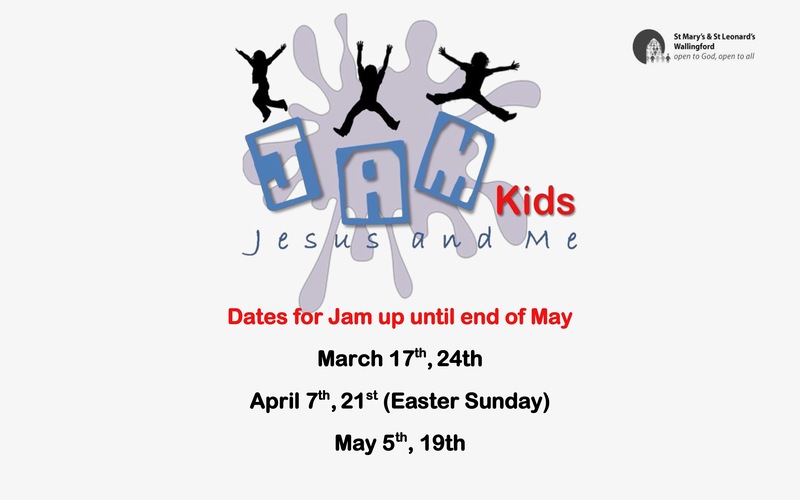 JAM is for children aged 2 to 8 and is held during our morning services on the 1st & 3rd Sundays of each month. Dates for the coming months are: April 7th and 21st, May 5th and 19th. 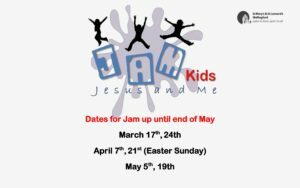 Together we will be exploring Bible stories and the Christian faith through games, drama, songs, crafts and much more. Feel free to join us.